Bajaj Avenger got the much-needed update today and the company made up for any updates for last five years with three variants of the Avenger. The cruiser will come with two engine options, 150cc and 220cc. The bike has been priced at Rs 74,000 for 15occ variant and Rs 84,000 for the two variants in 220cc. 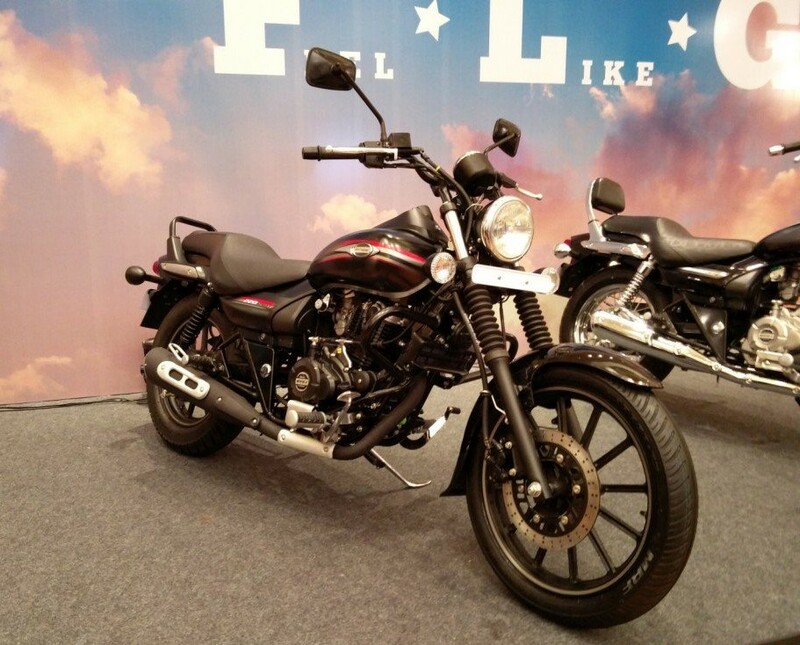 The 220cc engine with be the base for two variants, Avenger 220 Street and Avenger 220 Cruise. The Street version is targetted towards the people riding more on regular streets versus the Bajaj Avenger 220 Cruise which has been targetted towards the people who love undertaking long rides. The new Bajaj Avenger Street 220 and Cruise 220 power the same 220cc, single-cylinder, oil-cooled DTS-i engine that did duty on the old Avenger, churning out19bhp and 17.5Nm. The 1500 cc variant produces 14.5bhp and 12.5Nm. The design on the Bajaj Avenger Street 220 is all matte which reminds a lot of Harley Davidson Street 750. The company has given contrast decals over the tank. The exhaust has been redesigned. The new Bajaj Avenger Cruise 220 looks largely similar to the current model though with heavier chrome elements and a new exhaust. The Street 150 shares similar design with the Street 220. Bajaj has been selling about 4,000 units of Avenger cruisers in spite of very less or no publicity at all, which, makes the model a success in the long term. Strangely Bajaj did not tweak or refresh the Avenger in the last five years because the company is known to refresh models to keep them up to date and relevant. Now after half a decade of Avenger’s current iteration in existence, the company expects to sell about a combined 9,000 units on the Avenger range.